Home Essential Oil Diffuser How Do Essential Oil Diffuser Bracelets Work? Ever wondered why diffusers and ceramic burners disappear quickly off the shelves of many stores? Well, this is because many people today enjoy the fragrance of essential oils with the help of these products. Inhaling essential oil does not only excite our senses, but they also help these oils work better in handling health issues. These issues range from nasal problems to insomnia. Diffuser bracelets present some of the ways you can enjoy the healthy benefits of essential oils through smell. Light and easy to carry around, they can make you appreciate the fragrances all day long. Sometimes, you even wonder how do essential oil diffuser bracelets work to provide you with lovely fragrance. Since ancient times, people have used such bracelets. Medicine men and priests from ancient Egypt to Rome have improved on ways to create this item, making it even more desirable. This article will tell you about essential jewellery and how they work. 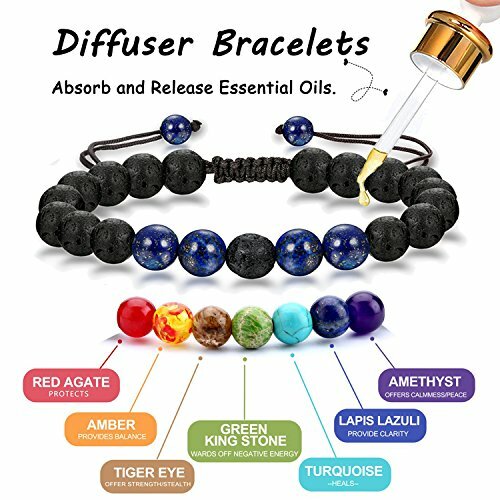 What Is A Diffuser Bracelet? 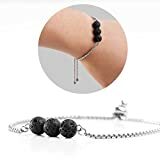 So How Do Essential Oil Diffuser Bracelets Work? What Do You Gain From Wearing Diffuser Bracelets? Diffuser bracelets present a simple way to enjoy the benefits of essential oils. Made from beads of glass, leather or lava, they absorb these oils for a long time. They make you smell fresh and also make your outfit pop out. 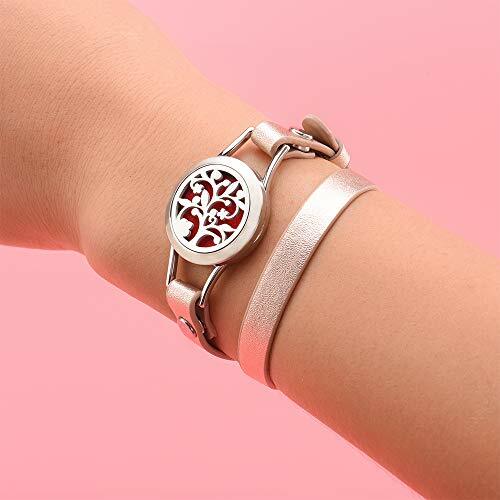 Terracotta and white clay serve as the best materials for clay bracelets. They can easily hold oil making you smell fresh for long periods. Before you use these bracelets, dip each 2-5 beads into your favorite oil. Once it get dry, dip again to ensure you get a stronger scent. However, try to make sure the oil touches only the outer part of the beads because oily clay beads can hurt your skin. These types of bracelets come from molten rock such as andesite and dacite. Because they have tiny holes, lava beads can absorb oil making you take the smells anytime and anywhere. Just like clay bracelets, add the same number of beads to your essential oil and make sure it’s dried. This type of bracelet looks good with any outfit in your wardrobe which make it an ideal fashion accessory for you. Leather bracelets have lockets with washable pads which absorb oils. These pads can also help you change to the type of scent you want quickly. Add 2- 3 drops of oil to these pads before use. You can change the oil after three days to always enjoy its benefits. All essential oil diffuser bracelets work the same way. You only need to ensure the oils dry correctly as previously said to prevent skin rashes and other reactions. These reactions occur when pure oils touch the skin. 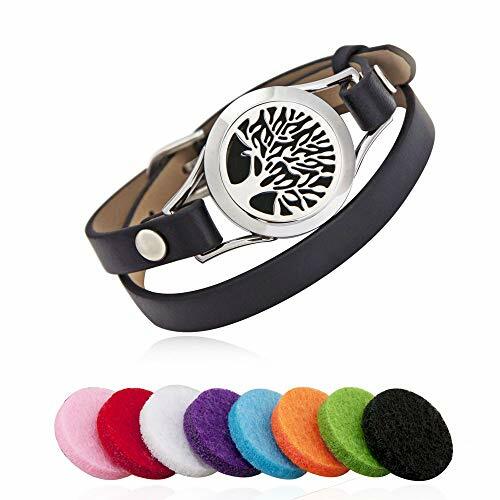 Now that you know about diffuser bracelets let us show you the immense benefits of spotting that jewelry on your wrist. Smelling good all day comes easy with diffuser bracelets. You need to add oil to your bracelet every 2-3 days instead of whipping out a perfume bottle every hour. During our daily activities, we might feel fatigued and lose concentration. But wearing bracelets with essential oils such as lemon or citronella can boost your energy levels and make you focus better. Stress plays a major part in our daily lives, and sometimes we find ways to relax and make the tension go away. However, lavender infused bracelets can make you calm and ease your anxiety. Bugs can spoil your day and make you raise your hands in despair as they bite. But bracelets with cedarwood, juniper or grapefruit can keep the bugs away. Wearing a diffuser bracelet helps us enjoy its various benefits without the use of large items. 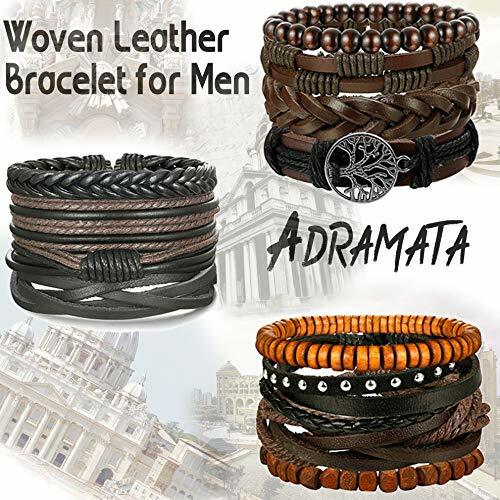 Multiple types of bracelets include lava, clay, and leather, with each of the bracelets working the same way and giving its users many healthy gains. Previous articleHow Big of an Air Purifier Do I Need? Next articleHow to Use Vicks Starry Night Humidifier ?